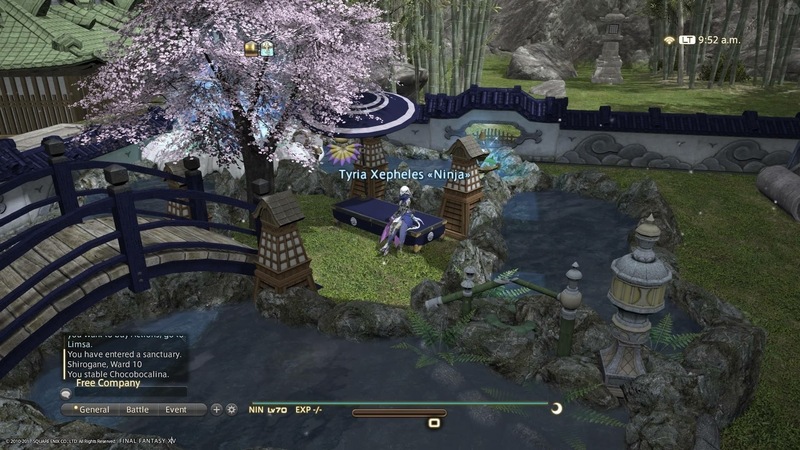 I started wanting to step up my game after seeing the house of our mad creative neighbors. 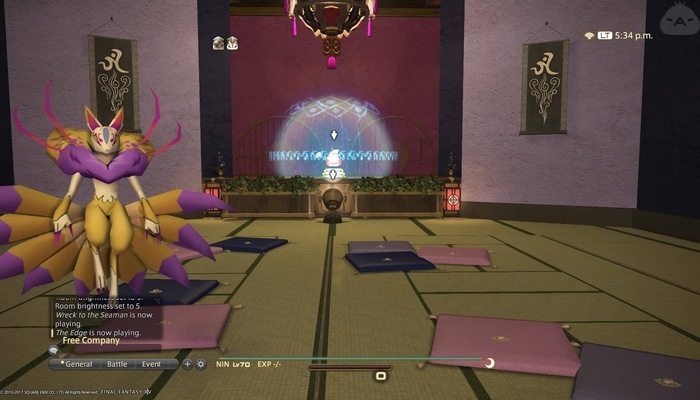 Unfortunately, I can't use glitches on my PS4. 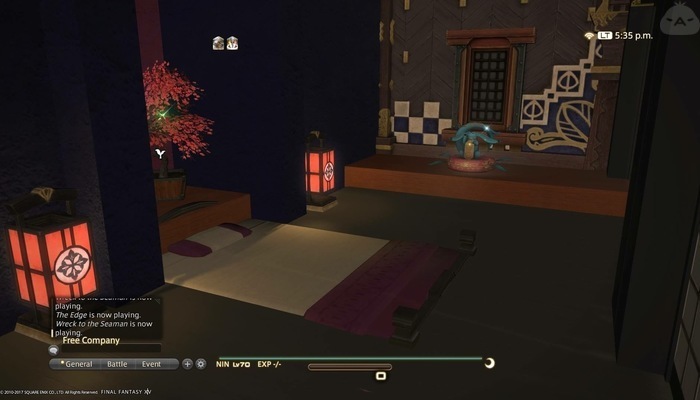 That has ruined some of my plans... We also used to have a meditation/altar room in that little cove above the stairs but I had to scrap that to get the item count down to build the bedroom with all those desks as flooring. 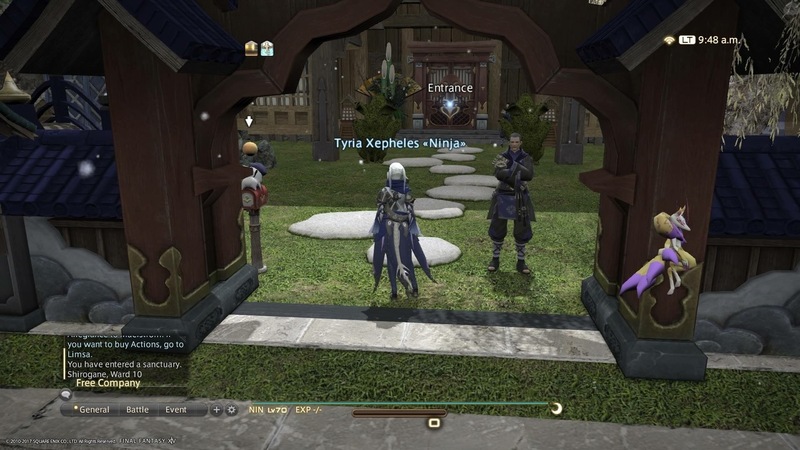 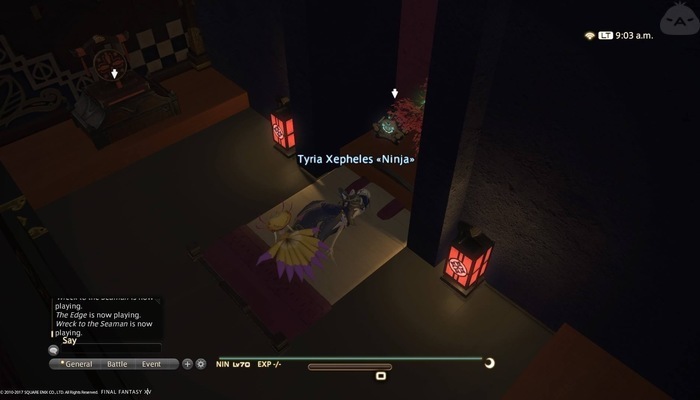 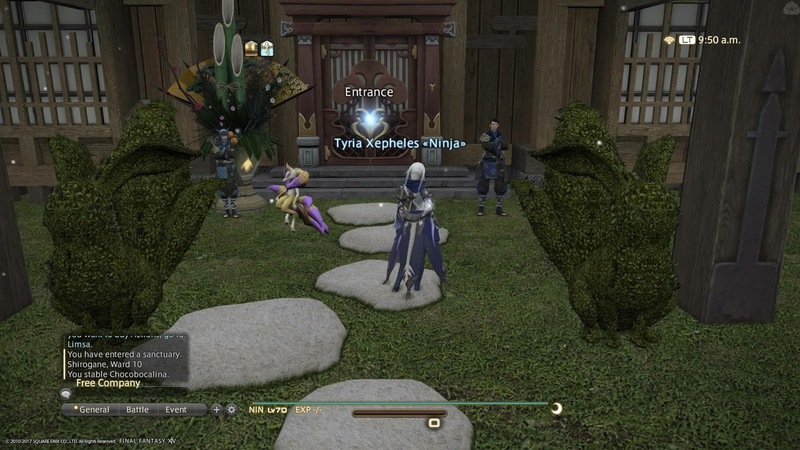 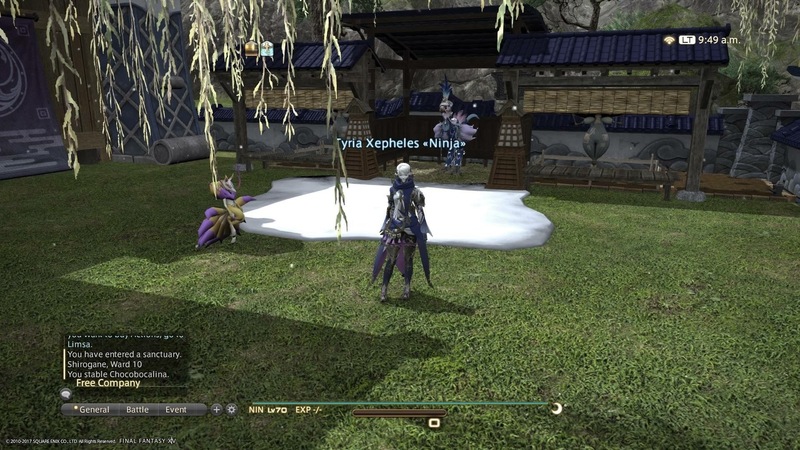 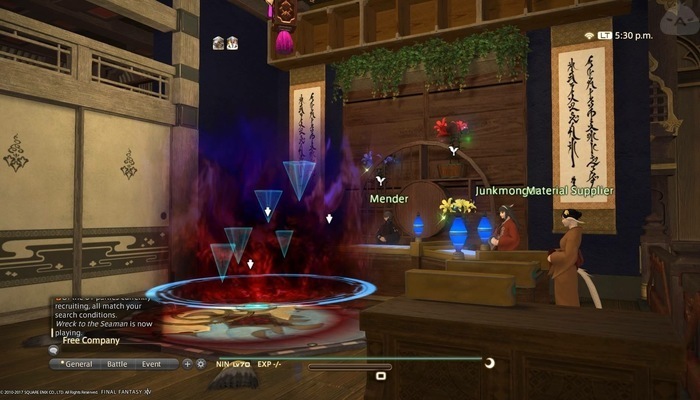 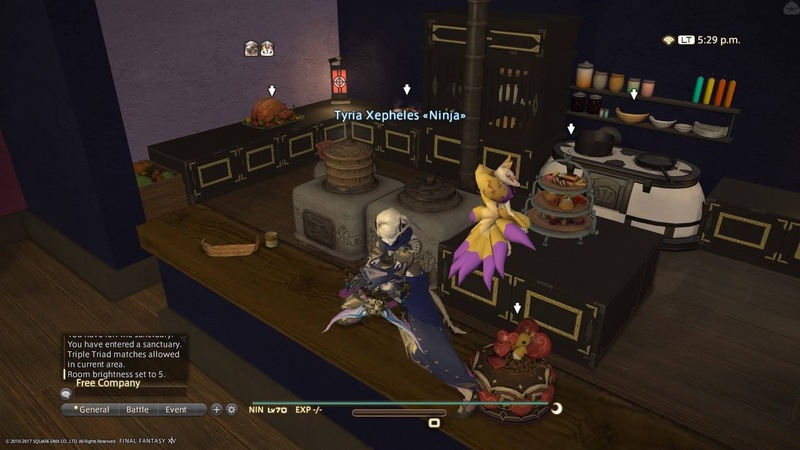 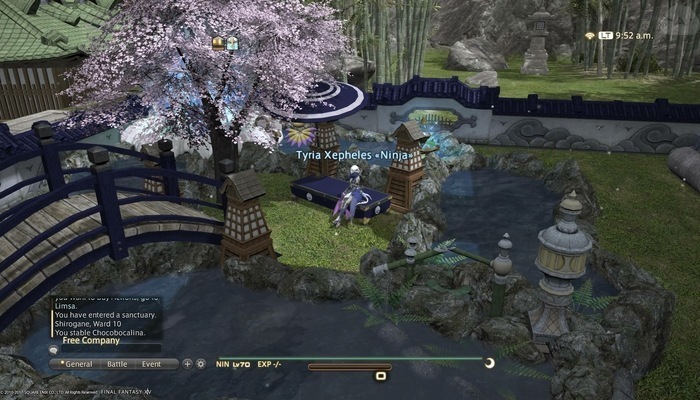 In the front yard we have a pond with seating under a cherry tree, a chocobo stable with gardening patches, and three ninja (Retainers) to guard the entrance. Our house has all of the crafting facilities integrated into the interior design. 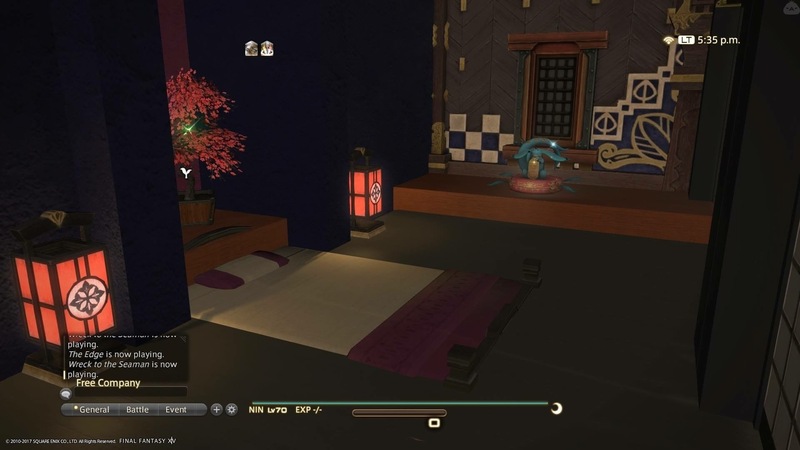 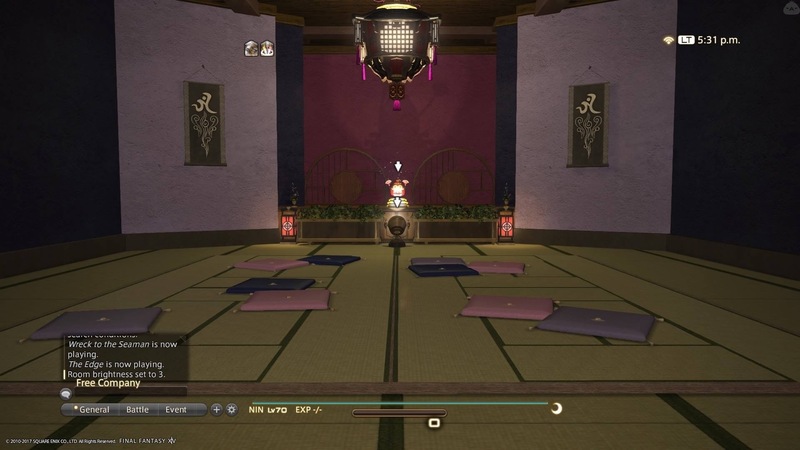 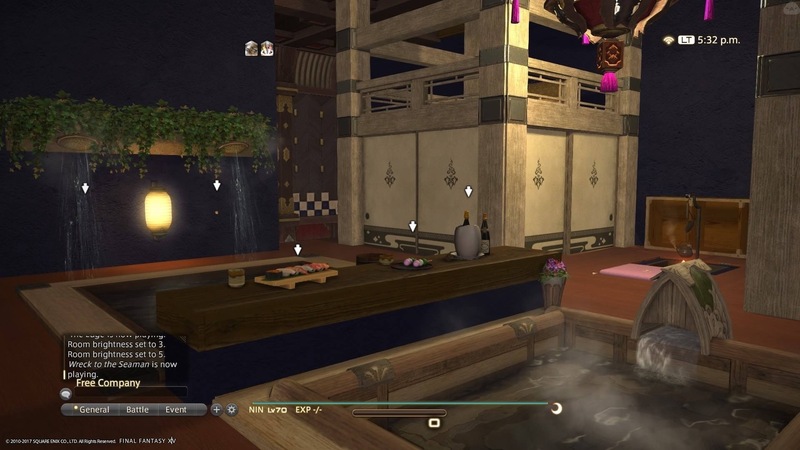 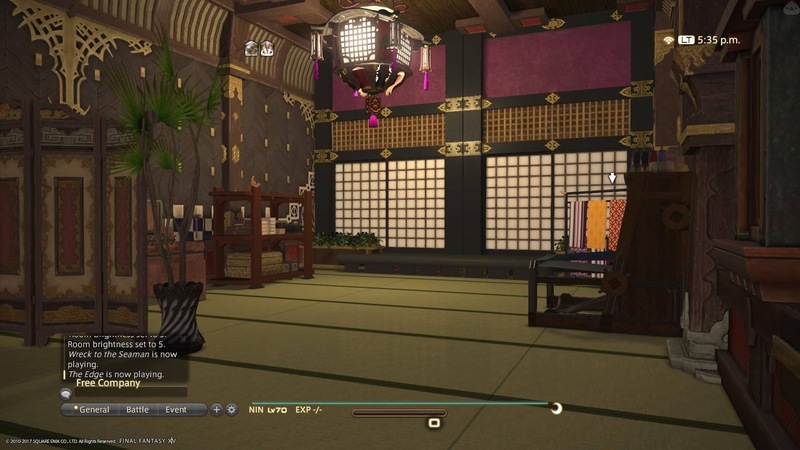 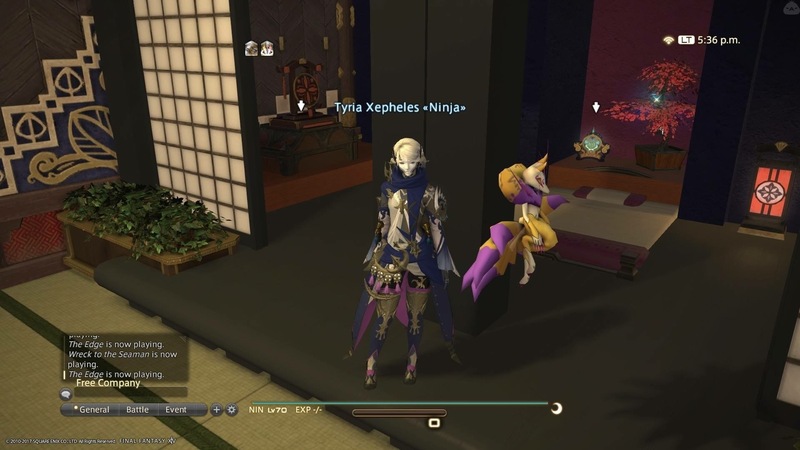 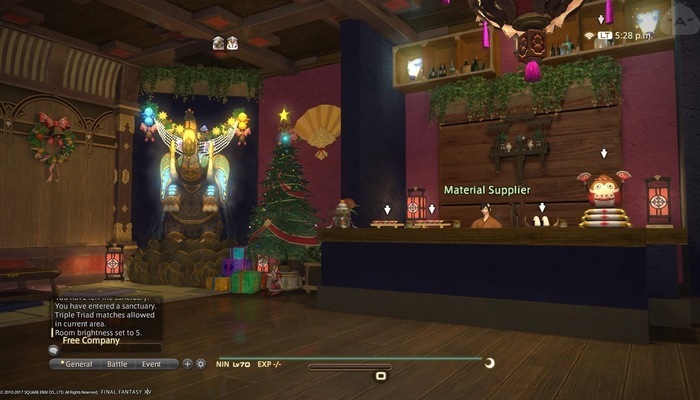 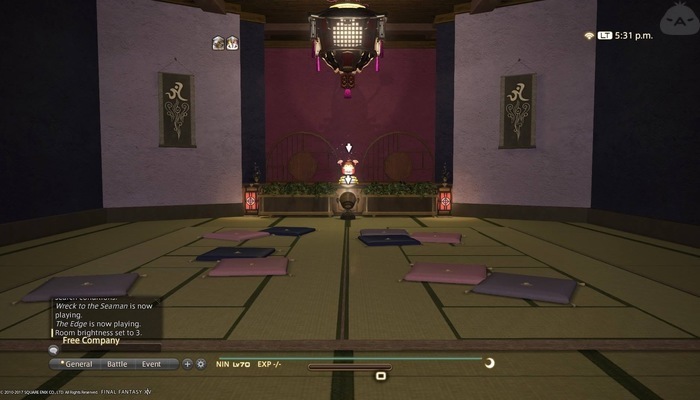 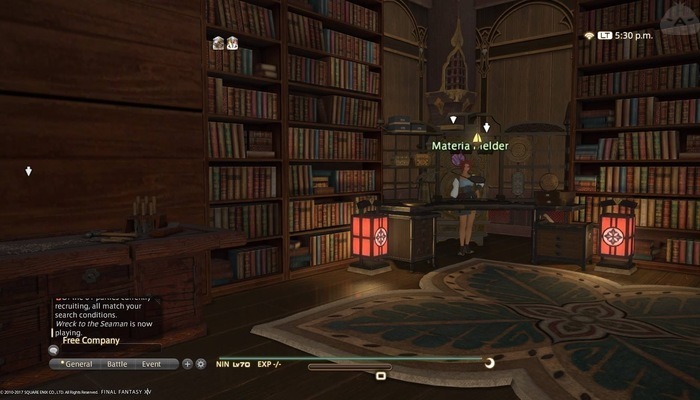 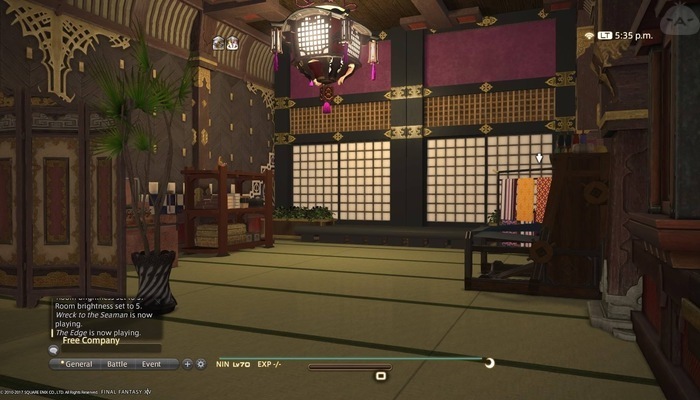 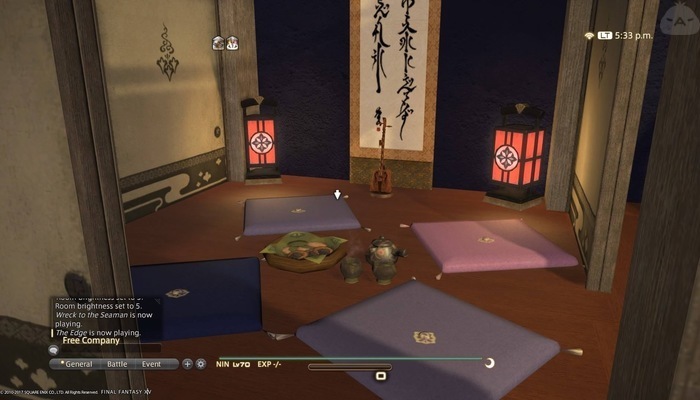 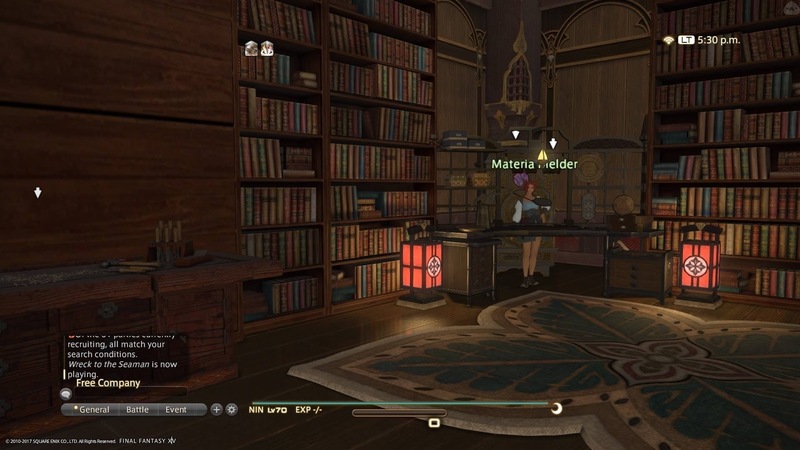 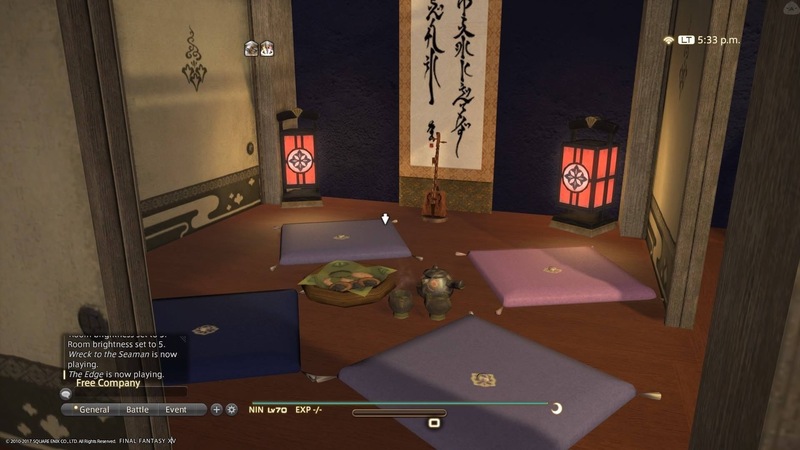 We have a sushi bar and a kitchen, a crafting room, a stage area, an inside onsen, an office (not pictured), and a bedroom for weary ninja who don't own a private room yet.